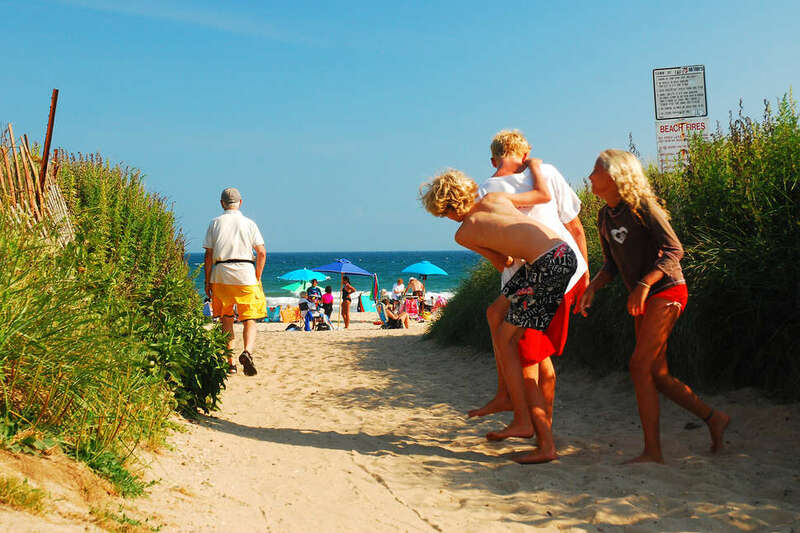 Bethany Beach is a clean beach that can get crowded fast in Delaware. You should expect to see a lot of umbrellas all over the sea shore which makes it difficult to see the sea. They had recently replaced the stairs with ramps to make it more convenient for visitors to access the beach. There are 2 life guards on post to control the situation at the beach. There is a company that rent umbrellas and chairs. The beach is clean with no trash around. However, it can be hard to walk on the shore as there are lots of crushed shells and tiny stones that can cut your feet.